BEAUTIFUL & IN GREAT SHAPE!!! 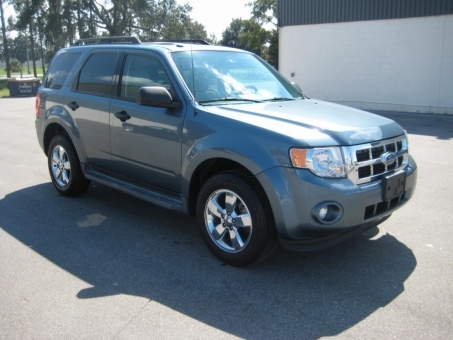 2012 FORD ESCAPE XLT LIGHT BLUE WITH SUNROOF, 17" CHROME WHEELS, RUNNING BOARD, ROOF RACK, DRIVER-SIDE POWER SEAT AND ONLY 58K MILES!!! Online auto auctions are on their top these days, and why wouldn't they be, when selling and buying a vehicle was never this easy and fun before! Our auction is opened to all kind of car dealers and vehicle owners aiming to sell their cars. Be sure that on our public auto auctions you are buying in a safe manner a used car, because we respect all traffic laws and regulations. Shopping online from home , while sitting in your bed, see our hot auctions and join them! Start bidding, you're in good hands, it means you're 100% safe. Take an active part in our car auctions and increase your real benefits from car lease deals, pre owned cars, second hand car.